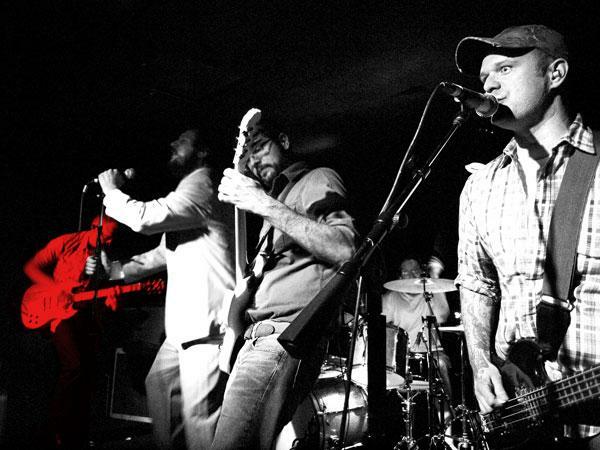 Playing a Compact Disc is nothing like playing a live show. Wild, right? This is just the latest of the profundities to explode into my mighty brain as I slouch on the orange couch, staring at stacks of CDs, contemplating life and stuff. It came to me on a lovely Sunday morning. The sun was shining, the birds were cheeping, and I was still high from my band's performance two nights earlier. "We like to make things," Roy Gandy, Rega's founder and owner, once told me. "It's what we do." Or maybe it was Rega's chairman and chief engineering honcho, Terry Bateman. Rega products are designed and manufactured in the south of England. So far as I know, no one at the Rega facility, on the Temple Farm Industrial Estate, has committed suicide; the same cannot be said of workers at the factory in China where iPods are made. Al Gore is on the board of Apple. Al, what do you think? My thirst for vinyl can be blind and wild. I know this when I find myself dashing through the midday sun, from the Stereophile office and up Madison Avenue, into Grand Central Station, onto the 6 train to Astor Place, and into my favorite record shop, Other Music, like a man in lust or love or, worse yet, possessed wholly by need. But unlike some of my more dogmatic friends and colleagues, I have no real problem with the Compact Disc. It's just that CDs often lack a certain intangible charm, the ability to make my heart race. Sure, Stereophile gets letters to the editor. We also get some colorful responses for our "Manufacturers' Comments" section. (Vince Bruzzese and Roy Hall are literary standouts among their component-making peers.) And, as one of the magazine's Contributing Editors (Audio), I get lots of personal mail from readers seeking my advice. I thought I might share some of these letters with you, and my responses. Roy Hall has his famous Music Hall MMF (Make Money Fast) turntables made for him in the Czech Republic. Roy has also long been associated with Epos Limited, since a chap named Robin Marshall started the company in 1983. 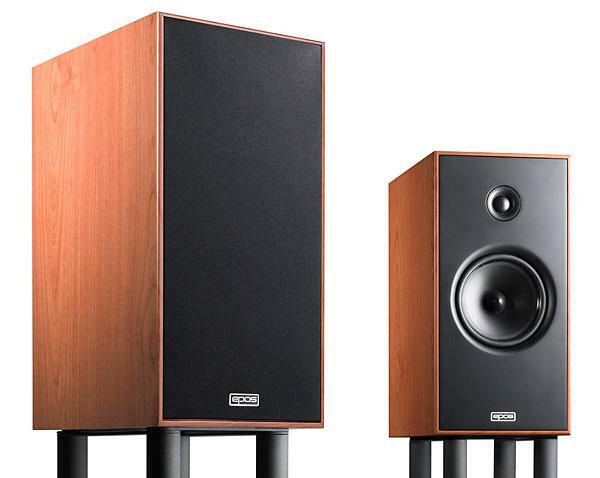 Their first product was the ES-14 loudspeaker, followed by the smaller ES-11. Both were largish, stand-mounted models, and both offered a lively, expressive, unstuffy sound. 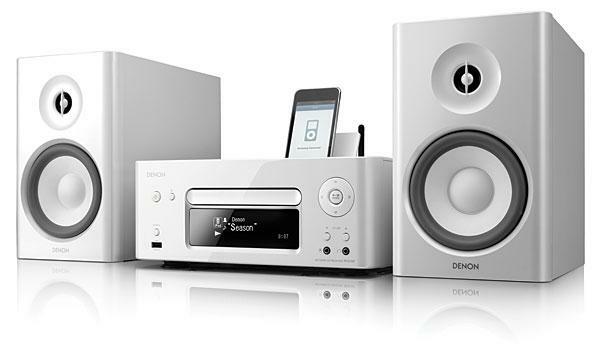 The speakers have always been fun to listen to, even if they lackedand still lackthe refinement of some far more expensive speakers. 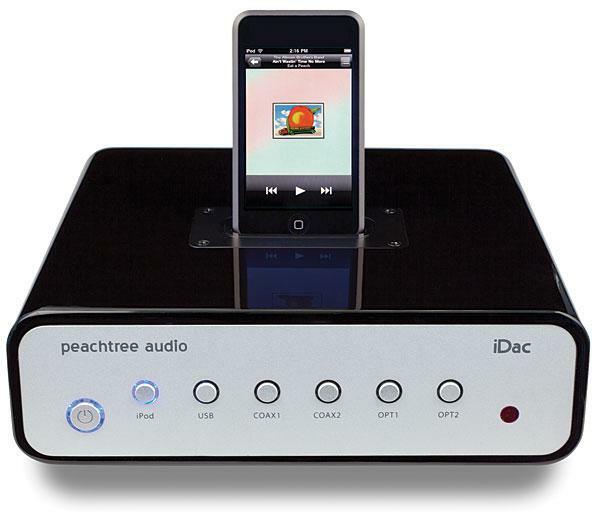 In recent years, Adcom has carved an enviable niche for themselves in the entry-level category of high-end audio. 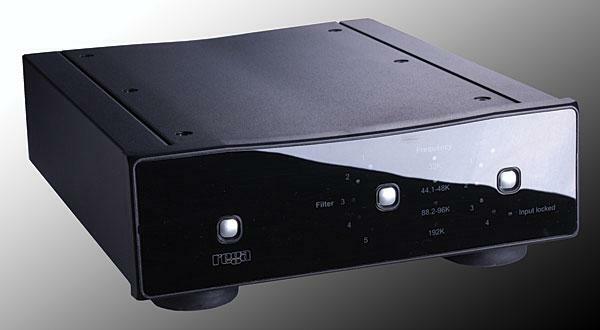 Their excellent GTP-400 tuner/preamplifier, which I reviewed in September 1989 (Vol.12 No.9), has further enhanced their reputation for musically satisfying sound at affordable prices. 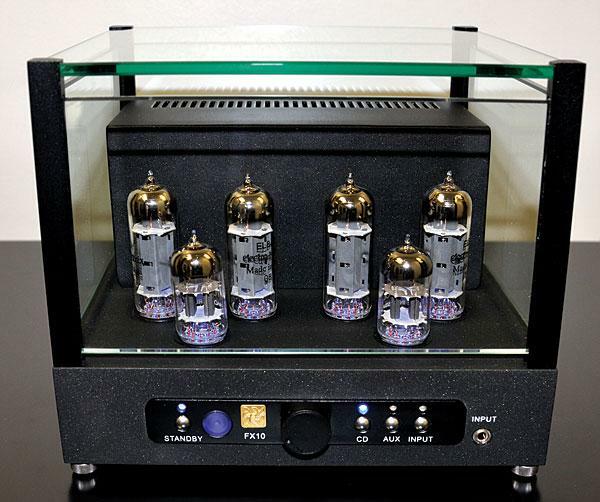 The GFP-565 is Adcom's newest preamplifier and their most expensive to date. The GFP-565 was designed to offer more than simply excellent performance for the price asked. This new arrival is Adcom's attempt at manufacturing a preamplifier which can compare favorably to the most expensive state-of-the-art products offered by other high-end manufacturers. As such, its $798 price tag is still reasonable, especially when the 565 is compared with other preamps in the under-$1000 price range. 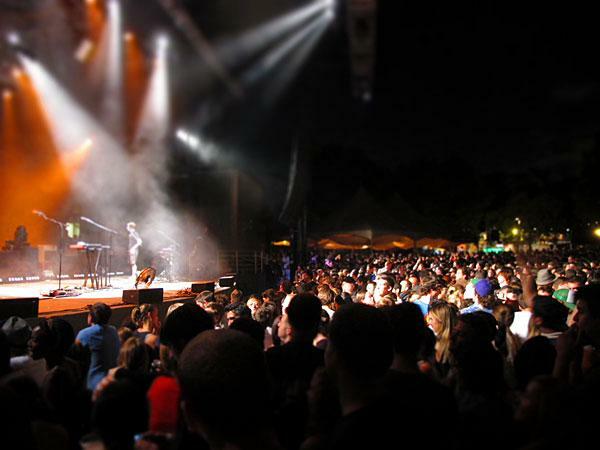 On Thursday, August 11, Cut Copy performed for a massive crowd at Brooklyn's Prospect Park, putting the perfect end to what had been a beautiful summer day. Concert photos by Natalie. The enormous sky above Brooklyn's Prospect Park was a dazzling watercolor. Warm, soft shades of yellow, orange, and violet swept across a saturated canvas as the sun slowly dissolved into the horizon and day reluctantly gave way to night. It was the second week of August and, though no one wanted to admit it, the days had become noticeably shorter. I walked alone through turnstiles that led to the large band shell where thousands of people would congregate for the final night of "Celebrate Brooklyn," a summerlong series of outdoor concerts. This year's season included performances by a wonderfully diverse and talented collection of artistssome obscure, some renowned, all worthwhile: Andrew Bird, Larry Harlow, Animal Collective, Real Estate, The Feelies, Los Lobos, The Bad Plus, Dr. John, and dozens of others. We were sitting near the pool, in a cozy, private cabana on the outdoor terrace of the Trump Plaza Residences in downtown Jersey City, surrounded by all kinds of beauty: To the north, the old Powerhouse Building stood proud, strong, and silent; to the south, Exchange Place's Colgate Clock was just beginning to glow, extending its tireless arms toward Lower Manhattan; to the east, the Empire State Building soared into the humid evening sky, its white-lit spire making thin veils of the summer clouds; and to the west, the redbrick row houses of Harsimus Cove hummed with the sounds of quiet domestic life. Before us stretched a long table covered with delicious treats: cheeses, meats, and crackers; olives, grapes, and hummus; bottles of beer, vodka, and wine. We were at Shana's place, with Natalie, Nicole, and DanielaKristin was there, too. And all I could think about were loudspeakers. 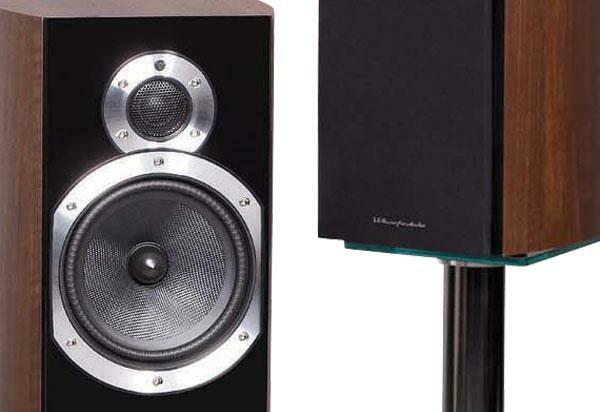 In large part because I was fascinated by the potential of Direct Acoustics' Silent Speaker II loudspeaker ($748/pair) in affordable systems (see my columns in the June 2011 and August 2011 issues), I rounded up three CD receivers that are network- and Internet Radioready and cost under $1000: one each from TEAC, Marantz, and Denon. These models are functionally and cosmetically more similar than different, and, it turned out, sounded more alike than not. Oh boy, another new DAC review. 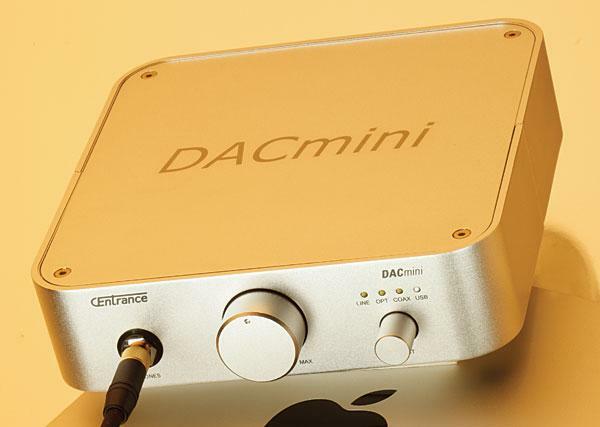 Some folks think DACs, once you get past the features, all sound pretty much the same. I mean, it's just digital. Well, they're right. Pretty much. Just as two new cars of a particular make, model, color, and options package both look the same, sitting there on the lot. But if you discover a ding in the door of one of them, where most folks still see only a new car, you now see the ding. It might have been there all along, undetected the first few times you walked around the carmaybe your buddy even had to point it out to you. It's insignificant in the scheme of all that a new car is, but once you've seen it, you always see it. Now you can easily tell the two cars apart, and we both know which one you'll drive home. I don't remember where I was when the Berlin Wall came down, and I already don't remember what I was doing when Liz Taylor died. (I suppose I was busy not thinking about Liz Taylor.) 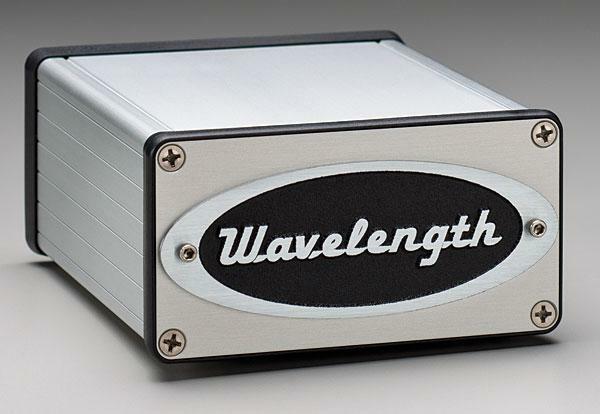 But I do remember when USB-based computer audio became a serious medium: That was when Gordon Rankin, of Wavelength Audio, introduced asynchronous data streaming, with his proprietary Streamlength software. After that, things picked up speed. The buzz was all over the audiophile 'net. "Pioneer has a new bookshelf speaker that's killer for the money!" Hmm, I thought. Pioneer. Speakers? To be fair, I've had the Pioneer brand on my mind for well over 30 years. The company was my brand of choice for car-stereo electronics in the 1970s, for Dolby S cassette decks in the '80s, for DVD players in the '90s, and for plasma TVs in the '00s and '10s. 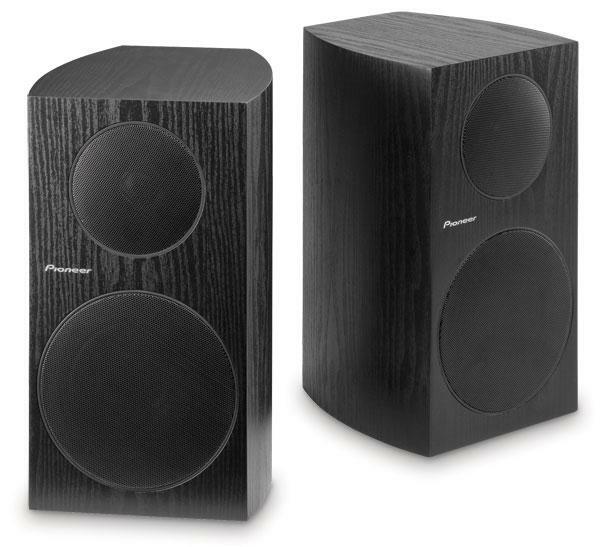 I felt a bit guilty that I hadn't focused on the fact that Andrew Jones, the very same design guru who came up with Pioneer's TAD Reference One loudspeaker ($70,000/pair), had had a hand in designing a few two-channel speaker models starting at $99.99/pair. The audio gossip was all about the second model from the bottom of Pioneer's speaker line, the SP-BS41-LR ($149.99/pair). I thought I'd better get a pair and review them. Around midnight, Natalie decided to move the party from her and Nicole's apartment (see last month's column) to our favorite local dive, Lucky 7, just a few blocks away on the corner of Second and Coles, in Jersey City. We threw wide the old red door and stepped into the stench of stale beer, the sound of cheap speaker cones tearing at the seams. I love Lucky's as much as anyone, but the music there on a Saturday night is always too goddamned loud. 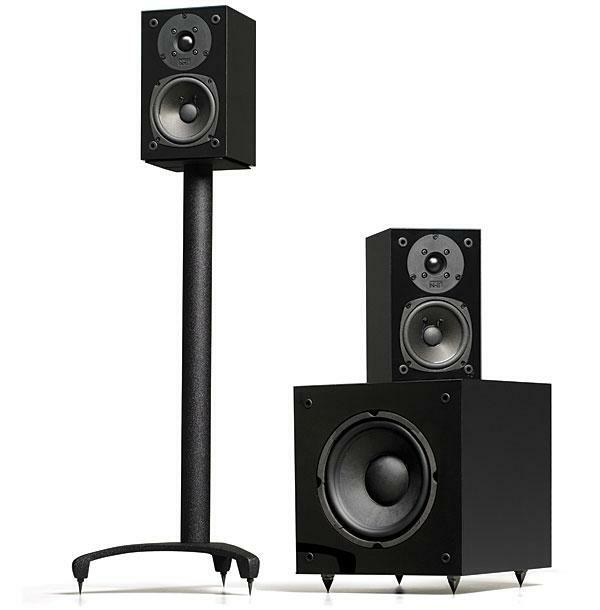 A while back, I received an e-mail from The Kid (Stephen Mejias): "I've been listening to and enjoying the Wharfedale 10.1 loudspeakers ($350/pair) for a couple of months. I wrote about them for my March and April issue columns, but they are good enough for a complete review. Are you interested?" Hmm . . . so The Kid is now assigning me equipment reviews? "Sure, why not?" The day after the Wharfedales arrived, The Kid sent me another e-mail: "Have you unpacked them yet? They are so pretty!" 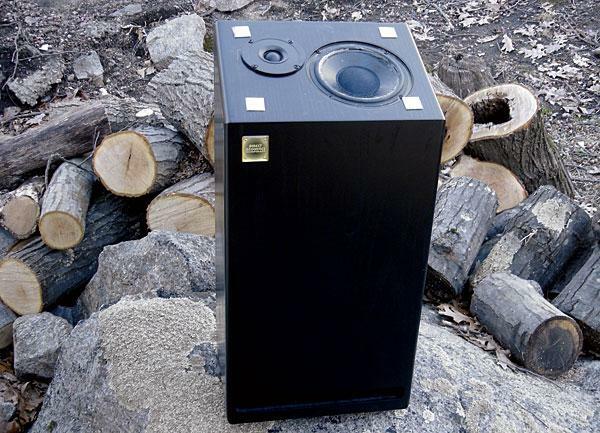 Direct Acoustics is a loudspeaker company in Weston, Massachusetts, that sells, by mail-order only, just one product: the two-way, floorstanding Silent Speaker II ($748/pair). Its seemingly paradoxical name refers not to any inability of the Silent to create sound, but rather is intended by its maker to indicate two aspects of its performance. First is the ability of the loudspeaker boxes to "disappear" in the sense of not being readily apparent as sound sources. Well, okay, everyone wants that. The other intended sense of Silent is that the woofer and its loading arrangement were designed to minimize stray noises created by the woofer's excursion, or by the movements of air within, or in and out of, its vent or port.